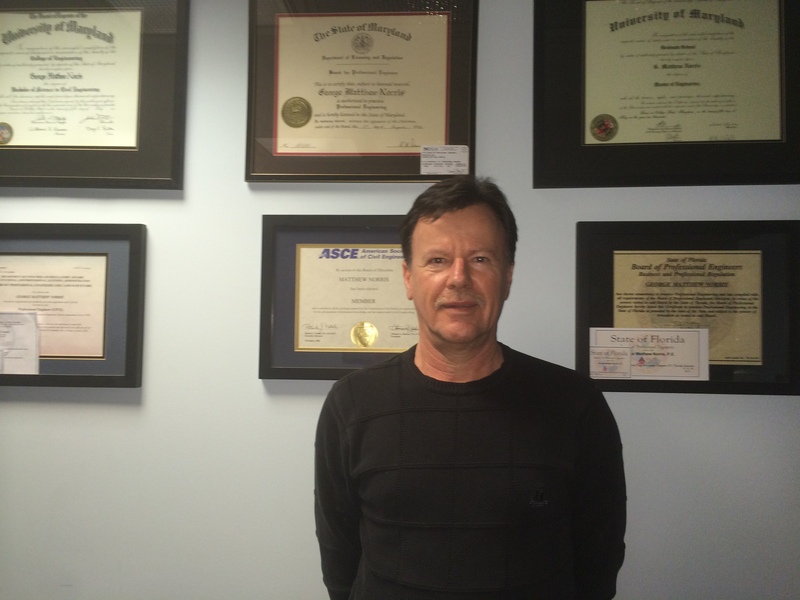 Matthew Norris has dedicated over 35 years of combined experience to the field of civil engineering, focusing on geotechnical, environmental and construction materials testing and inspection. Matthew Norris is a licensed professional engineer and an active member of the American Society of Civil Engineers, the National Society of Professional Engineers, and the American Society for Testing & Materials. He earned his Bachelor of Science degree in Civil Engineering and his Master’s of Engineering from the University of Maryland in College Park. Currently, Matthew Norris stands as the President and Founder of Geolab, also known as Geotechnical Laboratories, Inc.
Matthew Norris and his highly qualified staff at Geolab have completed projects of commercial, private, and residential structures for clients all across Virginia, Delaware, Washington, D.C., and Maryland.